Rev. Sam Mateer came to San Marcos with twenty-seven years of pastoral experience, twenty-six of those in overseas ministry. Sam Mateer married Lois Peyton, they have four grown children, three married with four grandchildren living in the US. The youngest is married to a Chilean, all are involved in Christian ministries in their respective churches. 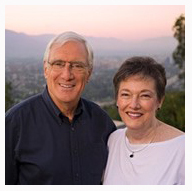 He has served churches in Birmingham, Alabama; Pittsburgh, Pennsylvania; Quito, Ecuador, and now Santiago. Sam has degrees from Northwestern University and Fuller, Princeton, and Westminster Seminaries. As the founding pastor of this church, Sam brought a strong pulpit ministry and deep interest in people to San Marcos. Sam is interested in developing people along the lines of their gifting, and as such seeks to disciple and mature God’s people for the ministry of Jesus Christ. Sam’s delight is in preaching the eternal word of God on a practical level, spending time in a deep relationship with his Father, and seeking to live Christ in all of life. As a pastor, Sam has been involved in starting a number of churches and has been in leadership in his denominations, mission, university and seminaries. He began his ministry in the United Presbyterian Church in the United States in 1966, becoming a member of the Presbyterian Church in America in 1976. As of December 31, 2014, Sam has retired from San Marcos.